Set at the mouth of the mighty Yangtze river, Shanghai has been a centre of trade and commerce for centuries. In recent years, however, China’s seemingly endless growth has seen this incredible city grow and modernise faster than virtually anywhere else on the planet. Second only to Beijing, Shanghai is a city of both history and contemporary China. The city’s famous waterfront, The Bund, represents its historic multiculturalism perfectly. The Bund was built in a mix of architectural styles, including examples from the Baroque, Classical and Renaissance eras – and every day tourists and locals flock to the location to sightsee or enjoy romantic strolls. From The Bund, many of Shanghai’s modern wonders are visible, including the World Financial Centre and the Oriental Pearl TV Tower, rising high above the city’s glamorous skyline. Beyond its vibrant waterfront, Shanghai has a quieter side, perfect for exploration. The Yunyan Garden is a stunning example of China’s grand past: a sanctuary of rockeries, ponds, cloisters, intricate halls and pavilions, the garden was designed to showcase the extravagance of China’s 16th century Ming Dynasty. This ancient tradition continues in the suburb of Zhujiajiao: built on water, the town is connected by a network of bridges and visitors can explore preserved Ming and Qing Dynasty dwellings, or sail along its waterways and canals on a hired boat. 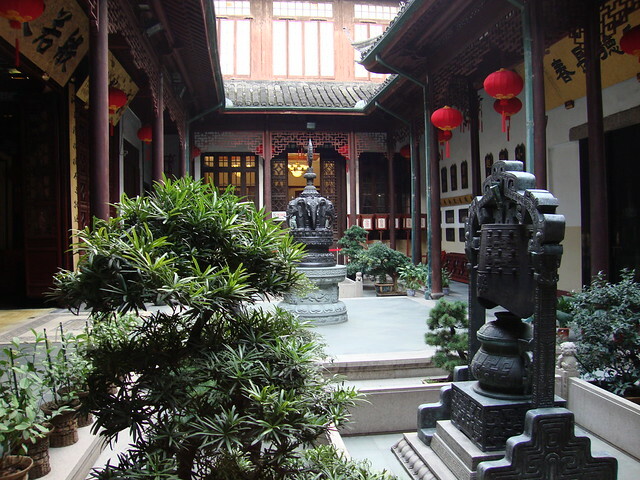 One of the most sacred locations in Shanghai is the Jade Buddha Temple, the home of two priceless white-jade Buddha statues originally brought all the way from Burma by an adventurous Buddhist monk. The Temple is designed to encourage tranquillity and self-reflection but is also a stunning architectural attraction right in the heart of modern Shanghai. Both bustling with contemporary culture and holding an immense historical presence, it is incredibly easy to immerse yourself in Shanghai’s atmosphere. A city virtually unparalleled in China – or the wider world, for that matter – no holiday to the Far East is complete without enjoying the many splendors that Shanghai has on offer.